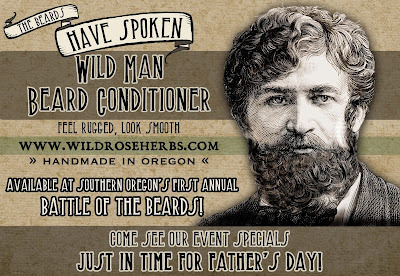 Blog - Wild Rose Herbs – tagged "beards"
Wild Rose is proud to sponsor Southern Oregon's First Annual Battle of the Beards! Join us this Saturday, June 8th between 12 and 8 at the Rocky Tonk Saloon in Medford. 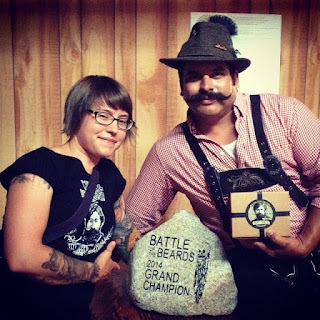 We'll be joining in the fun with plenty of prizes for contestants plus we'll have our full Wild Man line available for purchase.